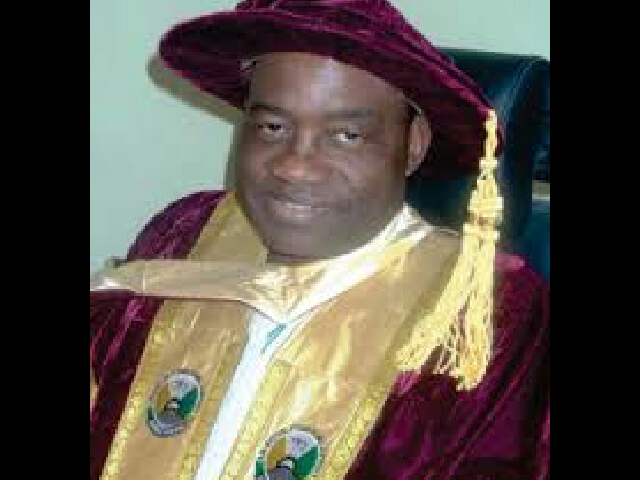 Academic Staff of Federal University, Dutsin-Ma, Katsina State, have asked the Vice Chancellor, Professor James Ayatse of the university to pay all outstanding allowance owed within seven days or face industrial. According to the aggrieved lecturer, they are demanding for their legitimate rights, which are enunciated in the various statuses governing the operation of all other Federal Universities in Nigeria. In Letter signed by all concerned lecturers under umbrella of FUDMA Academic Staff and made available to our correspondent in Kaduna, they stated, “It is instructive to note that we have colleagues all over the Federal Universities in the country and we are also aware of all the underpayment, over-deduction and in some cases, non-payment of certain allowances in this institution in relation to our welfare under your watch. “We have taken a long breath not out of cowardice but it was proper to allow your conscience to judge you accordingly. It seems our prolonged silence has compounded our problems, hence the slave treatment that has confronted us unabated. “It has become morally necessary to demand for our rights now before your exit. We wish to let you know that if we do not make our demands now, we may be accused of favouritism should we confront your successor with these legitimate demands.” the lecturers insisted. While explaining that the Academic Staff of the Federal University, Dutsin-Ma, met on Thursday, 7th January, 2016, and arrived at the following resolutions: Relocation Allowance (First 28 days), the lecturers in the letter said the outstanding balance on the relocation allowance as per Federal Government Circular No: SWC/S/04/S.309/1 of 18th January, 2007 be paid. That implementation and payment of all outstanding hazard allowances of N30,000 (Thirty Thousand Naira) and N15,000(Fifteen Thousand Naira)per month for all senior and junior staff respectively which has not been paid since the inception of this University be made. That all outstanding excess workload allowances, taken into cognizance the efforts and sacrifices of the entire staff at the realization of the graduation of the first set of students within three years, should be paid. That all outstanding Responsibility Allowances including the balance of the initial arrears that staff were compelled to share with Registration Officers be paid (except for the Heads of Departments, Deans, Examination Officers and Directors). That all approved and released Tetfund conference attendance money be paid into beneficiaries’ accounts. TETFund M.Sc/PhD Fellowship (Local and International). That all Tetfund approved and released Postgraduate fellowships be paid to respective awardees. That all deductions from staff salaries in respect of pension savings be remitted to respective staff pension accounts. Pension deduction is supposed to be 7.5% of basic salary and not on gross earning as being done currently in this University. The lecturers however, threatened that, “failure to respond appropriately to the above demands within the next seven working days with effect from 14th January, 2016, will elicit further actions from concerned Academic Staff of the University. Meanwhile, they advised the Management to tow the path of honour by treating the issues raised in the earlier letter on their merits rather than attempting to victimize or blackmail members.